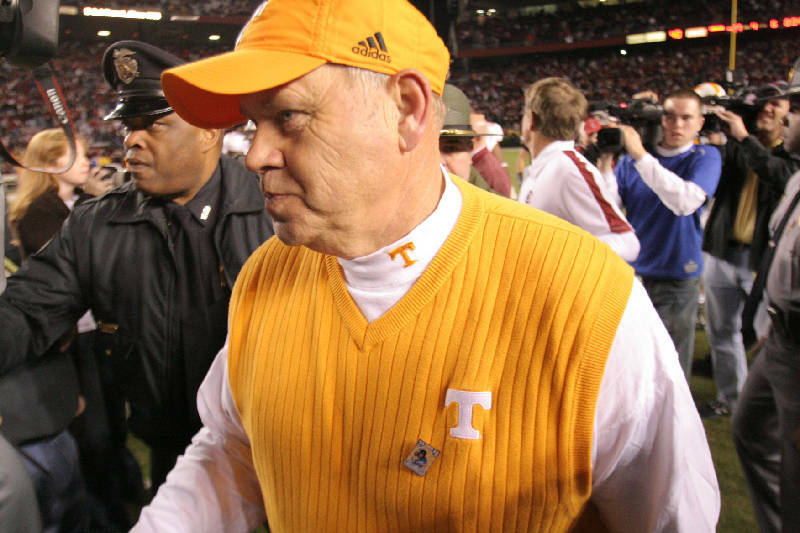 Former University of Tennessee football coach Phillip Fulmer, who guided the Volunteers to a 152-52 record from 1992 to 2008 and led them to the 1998 national championship, has been elected to the 2012 College Football Hall of Fame class. Fulmer is one of three former coaches who will be inducted at the National Football Foundation's Awards Dinner on Dec. 4 in New York City. The other coaches in this year's class are R.C. Slocum, who coached at Texas A&M from 1989 to 2002, and Jimmy Johnson, who guided Oklahoma State from 1979 to '83 and Miami from '84 to '88. Among the 14 former players inducted are LSU tailback Charles Alexander (1975-78), California quarterback Steve Bartkowski (1972-74), Brigham Young quarterback Ty Detmer (1988-91) and Syracuse wide receiver Art Monk (1976-79). For more information, read Wednesday's Times Free Press.